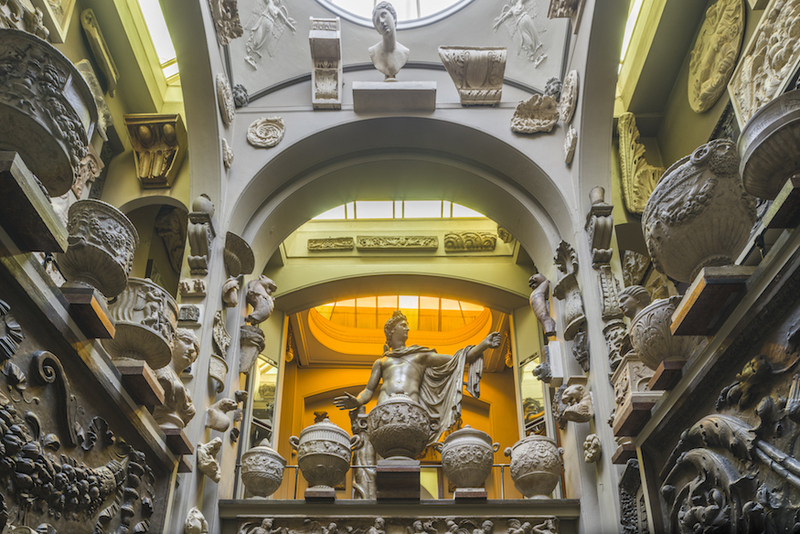 Sir John Soane's Museum just got a little bit bigger, and better. 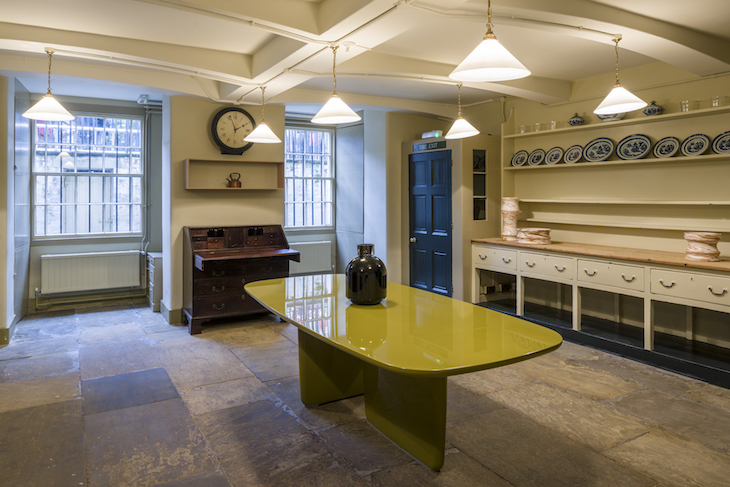 The Holborn-based house-museum — famed for its jumble of architectural curiosities and labyrinthine layout — has completed a seven-year restoration programme, opening up long-lost spaces to the public. The first surprise is to learn that the museum is now largely wheelchair accessible. If you've ever browsed its charmingly cramped, cheek-by-jowl corridors, you'll understand how impressive that is. The refurb also opens several rooms that have never before been part of the public space. It's long been said that this is a museum that exhibits everything but the kitchen sink. Now it's got that as well. 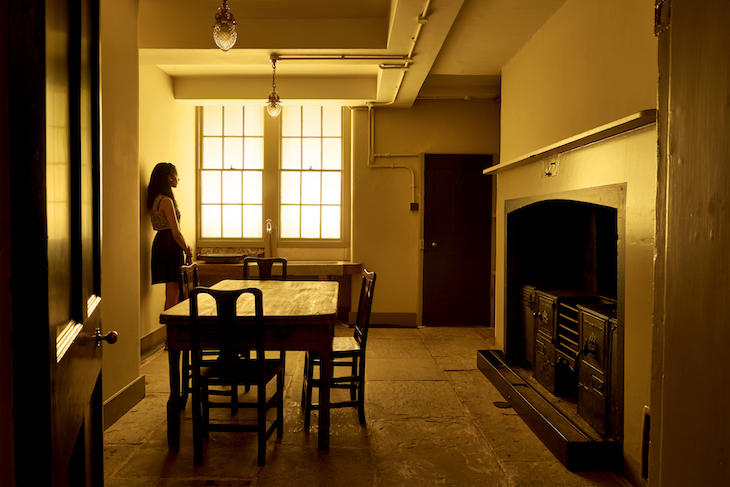 The house kitchens, down in the basement, offer a refreshingly open space and currently harbour contemporary works of art as part of London Design Festival. Below Stairs: a mix of old and new in a previously inaccessible space. And those catacombs? They're tiny, but intriguing. Shelves of funerary urns and the occasional skull are all bathed in a faint glow, like a captured moonbeam. This sepulchral space fits right in alongside the famous sarcophagus of Seti I. On the ground floor, the so-called Apollo Recess is back in its original configuration to 'restore the integrity of the dome area'. Apollo himself is newly lambent, basking in gold-filtered sunlight. He's beautiful, though we suspect most visitors will chiefly remember his testicles, which droop to eye-level from a fun-sized fig leaf. Behind the dangly deity, one finds the Foyle Space. This former picture gallery will now be used for exhibitions of contemporary art. Elsewhere, permanent exhibits have returned to their original locations in a further effort to show off the artefacts as originally intended. The Soane has been meddled with on many occasions. These latest works once again refresh the museum while paradoxically reseting the clock. The £7 million project, dubbed Opening up the Soane, is now complete and London's greatest 'hidden gem' sparkles anew. Sir John Soane's Museum is at 13 Lincoln's Inn Fields, open Tuesday to Saturday, 10am-5pm. Entrance is free.